A career as a certified nursing assistant does not require lengthy formal education. In Indiana, a prospective nursing assistant must complete at least 105 hours of training, including 30 hours in the classroom and 75 hours at an approved clinical site. The short-term training is useful to those who desire a career in nursing as it gives them exposure to the world of patient care and sets the foundation for nursing students. Those who complete the formal training must then take a state certification exam to be added to the Indiana Nurse Aide Registry. A CNA executes a number of routine medical duties, including assisting patients with personal care, monitoring the patient’s response to treatment, measuring and recording vital signs, assisting with therapeutic treatments, answering call lights, transferring and positioning patients, and setting up medical equipment for treatments. The Healthcare Specialist program at Ivy Tech Community College includes a preparation for nursing assistant certification. The program is approved by the Indiana State Department of Health, granting graduates the eligibility to take the state certification exam. 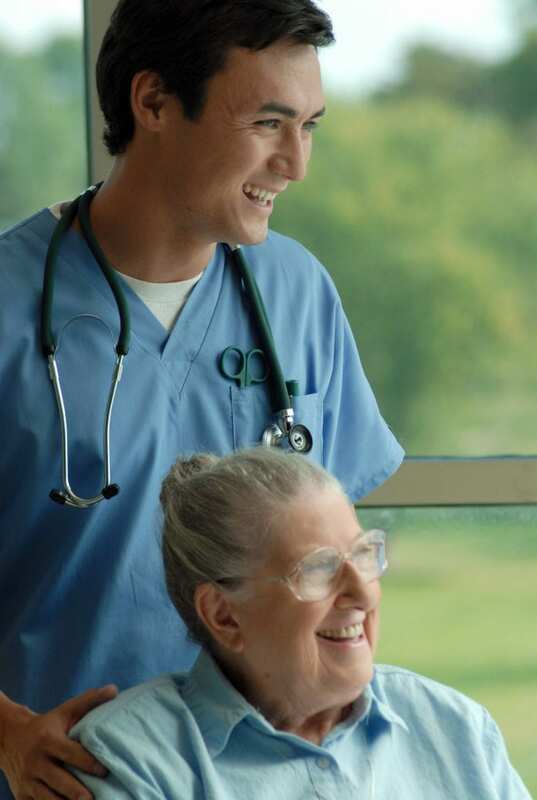 The CNA Preparation module is 5 credits and prepares students with the knowledge and clinical skills to provide basic care in extended care facilities, hospitals, and home health agencies. The curriculum covers an overview of the health care delivery systems, health care teams, and legal considerations. Course topics include medical terminology, infection control, vital signs, feeding and nutrition, dementia, care for the dying, CPR and First Aid, observation and reporting, charting, rehabilitation and restorative techniques, and personal care. Have a social security card and state ID. The state certification exam is offered at Ivy Tech Community College. The state-approved program at Indiana Health Care Vocational Training and Testing prepares students for a career as a CNA in just three weeks. At the conclusion of the program, graduates will receive a Certificate of Completion and will be eligible to take the state exam available on-site for students. Course topics include but are not limited to vital signs, infection control, personal care, basic nursing skills, dementia, safety and emergency procedures, observation and reporting, medical terminology, anatomy and physiology, hospice care, communication, patient rights and independence, and legal and ethical issues. Classes meet Monday through Thursday from 9:30 am to 5:30 pm for 3 weeks. Clinical times are from 6:30 am to 2:30 pm. Saturday and Sunday clinicals are available for those who need it. Tuition costs $520. The cost includes a free background check, nursing liability insurance, and free snacks, drinks and coffee. The testing fee is $75. A payment plan is available – students must pay $120 to reserve a seat, $150 on the first day of class, and $125 on the first and second week of the clinical. Funding assistance may me available by contacting River Valley Resources Adult Education and Work One. The Health Science program at Prosser Career Education equips students with the skills needed to embark on a career in health. The curriculum includes theory and practical experiences. Students engage in hands-on experiences in medical offices, physical therapy, obstetrics, nursing, lab testing, imaging, and extended care, Course topics include medical terminology, infection control, disease processes, basic anatomy and physiology, health and wellness, and personal care. Other critical areas of study include legal and ethical standards, effective communication, the role of the healthcare worker, CPR, First Aid, and basic nursing skills. Students participate in lab sessions at Prosser’s mock clinical laboratories to develop practical skills that will help them succeed in a health care setting. During the second year of the program, students will focus on career specialist study and will commence the clinical experience in a long-term care facility to prepare for Certified Nursing Assistant certification. Class sizes are limited. Interested persons can register on the first scheduled evening of each class. Register on the first scheduled evening of each class. Pay the non-refundable registration fee at the time of registration – checks, cash, Visa or MasterCard are accepted. Adult-Ed classes are not open to students enrolled in K-12 grades. Tuition costs approximately $400 and does not include books and supplies. Other state-approved certified nursing assistant programs in Sellersburg, IN.